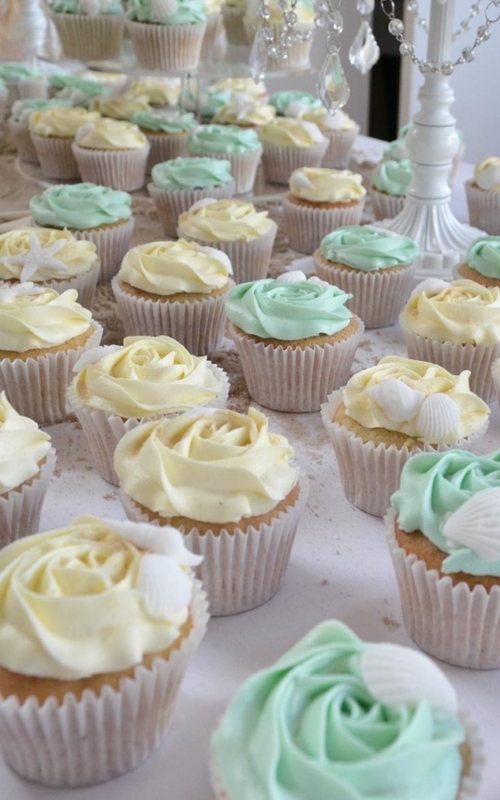 Beach Wedding Cake & Cupcakes - Bespoke Cakes For All Occasions. Custom Beach Wedding Cake /Cupcake Tower. 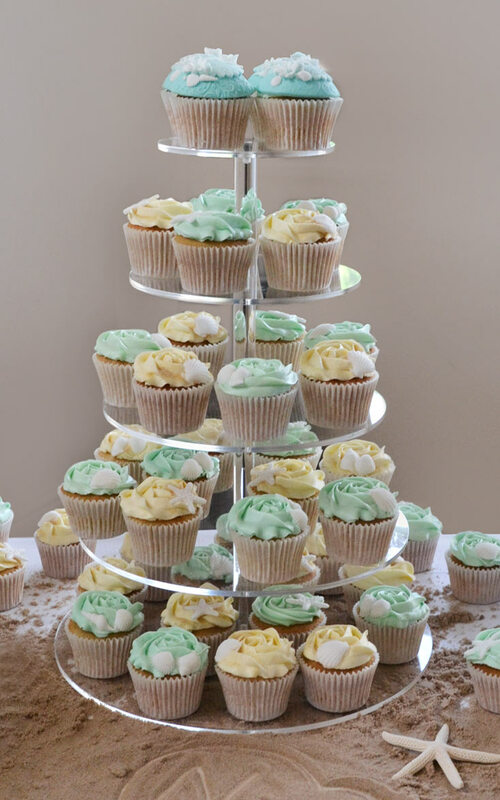 The best way to display our decorated cupcakes is on a stylish cupcake tower. We pipe each cake with buttercream swirls, roses or fondant domes, and decorate with endless bespoke designs to suit your style, theme and colour pallet. As a trained artist and designer I pride myself on my attention to detail and clean presentation. I’m passionate about exceptional design, finish, and above all, taste. To take a closer look at some of our cupcake artwork view the cupcake gallery. As well as cupcakes you can also top your tower with a 5” cake to your chosen bespoke design starting from £20. View our celebration cake gallery for inspiration. Another great way to add some wow factor to your event is to add a customized candy buffet. With jars and platters of sweets and treats in a beautifully detailed display. However big or small we can create an impressive display everyone will enjoy, view our candy buffet gallery.